Quite literally, the freshest sound in music right now is by Ringo Starr, whose 17th solo release — Ringo 2012 — hit shelves and servers today (Jan. 31, 2012). Most of the songs are at least co-written by him, meaning perhaps Richard Starkey is is finally hitting his stride as a songwriter as he has little more than 100 songs to his credit over the course of 50-plus years since the Beatles began recording. And many of those — while I don’t doubt his contributions — are things like “Dig It” and “Flying,” songs that received the four-Beatle credit and other songs in which he presumably didn’t have much heavy lifting. Of course, that list doesn’t count songs written and not registered. It certainly doesn’t have songs he partially crafted. And that’s just what we have out of Ringo as early on the second day as rehearsals continue at Twickenham. George was discussing The Band with Paul and Ringo (John wasn’t there yet) and how their favorite track (presumably off the White Album — he didn’t specify) was “Don’t Pass Me By” because of its country western vibe. “That’s their scene, completely,” George said of the very first composition credited solely to Starkey. “Yes I am,” he replied, almost incredulously before some cross-talk obscures what was said next, although Paul already knew what was in the works. In fact, he already was able to name one — “Picasso” (also bootlegged as “I Bought A Picasso”) — before Ringo started pounding out the chords (a struggle). “Let’s hear it,” Paul asked, remarking it was “a fast one” — something they were looking to add to the set list of the live show. “Too fast for me,” Ringo replied. Paul, as well as George, had absolutely heard it before based on their reactions and subsequent suggestions. Note that this clip, from the bonus disc that came with “Let it Be … Naked,” begins with the exchange that preceded “Picasso” edited in as the lead-in to”Taking a Trip to Carolina.” But in reality, that’s not the exact order of how it really happened. Ringo wouldn’t showcase a song again until later in the month, with “Octopus’s Garden,” which of course would later appear on Abbey Road (I’ll cover the song’s introduction to the sessions when I reach that date). We wouldn’t hear either “Picasso” or “Taking a Trip to Carolina” for the remainder of the tapes. 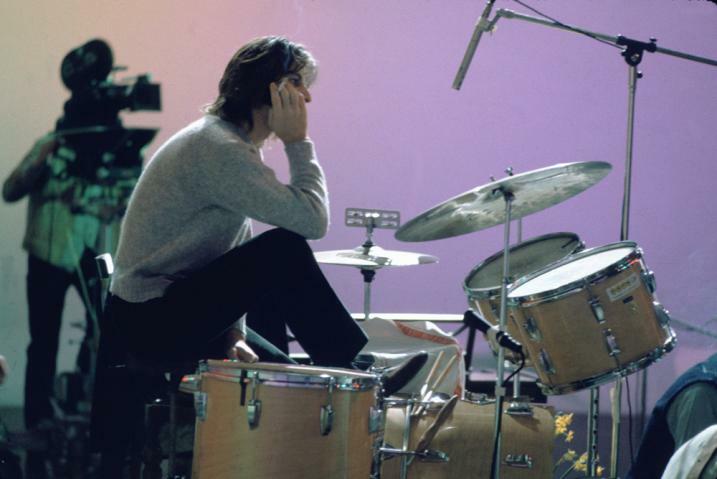 He would not have a vocal on Let it Be — either of the iterations (Glyn Johns mix of the Get Back LP or the final Phil Spector production) — marking the first time that happened since the A Hard Day’s Night LP in 1964 (*He didn’t have a lead on ’67’s Magical Mystery Tour, either, but it was technically an EP with old singles padding the US full-album release). Always loved this song! There’s something to it, very catchy. I wish they’d given it a chance and that the others had helped Ringo flesh this tune out so that it could be recorded properly. Then again, I’m almost surprised this :25 second clip of “Carolina” wasn’t included on ‘Let it Be’ ala the way “Take Me Back” was included on ‘The Beatles’. Great little ditty by Ringo. Interesting thought, and I agree, could have been a nice jumpy number to cut the mood a bit on the record. I bet it never even got on either of the producers’ radars (either Johns or Spector) was because it was only performed this one time at Twickenham and only while the cameras’ audio rolled, not in the actual recording studio after they moved to Saville Row. So it wasn’t even an option in their hands to splice in even this segment. Spector probably didn’t even know it existed (though Johns should have, having been around Twickenham). Note that the last track has no vocals, but it is clearly Ringo at the piano playing Carolina for a minute or two before stopping and picking up with what sounds like random doodling. Note also that even before placing Carolina after Picasso, it became obvious to me that that had to be the correct order because of the way all three Beatles crack up when Ringo sings “Ob Baby”. The reason is he had used the same phrase already when he tried out Picasso, so when he uses it again on Carolina, they all laugh. Bart – Amazing work and insight. I’m going to have to go back and do that same reordering. I always figured there was more to that laugh! You’re welcome! I’d be happy to forward the Mp3’s of my edits to you if you trust content from a complete stranger!